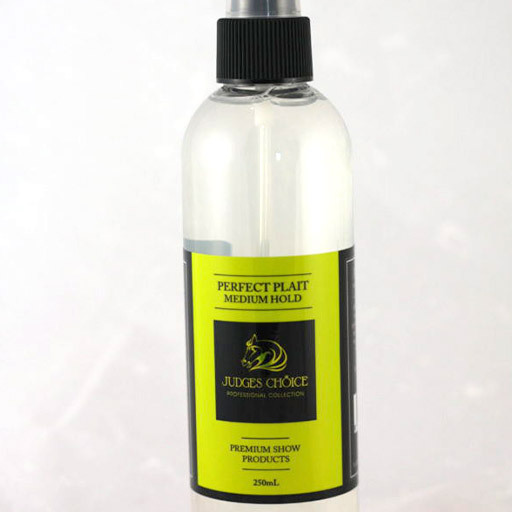 Judges Choice Perfect Plait Medium Hold plaiting spray has been formulated with both the groom and horse in mind. 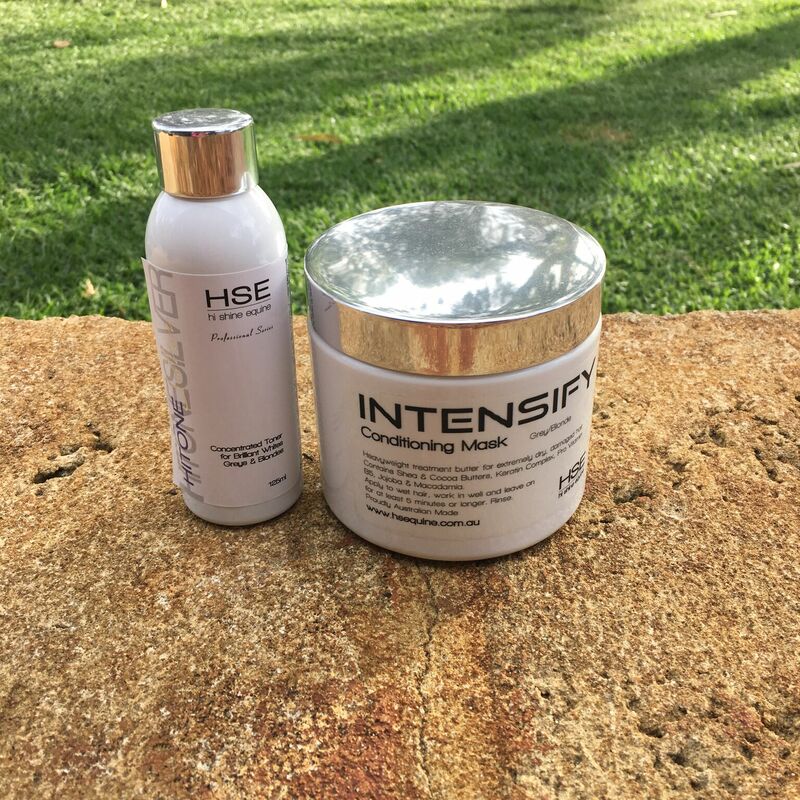 This spray will give you weightless conditioning, illuminating shine and hold with a medium tack without leaving a flaky white residue. It will aid in producing perfect plaits every time on wet or dry hair. 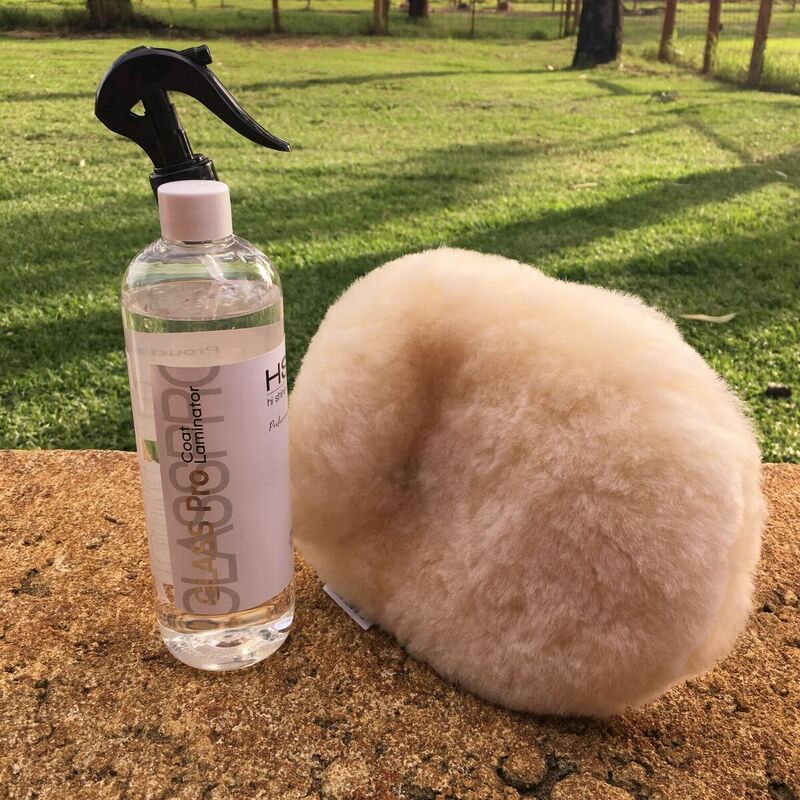 Perfect Plait is a water based product and washes out easily with no sticky residue. • Groom the mane, make sections, and then spray with Perfect Plait which will help maintain a good grip. After the plaits have been banded, braided and stitched give them one last spray to hold them firmly in place. Great for saving time the night before competition if using a skinny hood. Perfect Plait is a great plaiting accessory that will save you time and money, for flawless plaits every time.